Let's revisit the Pythagorean Theorem! 1. In the space provided below, state the Pythagorean Theorem in your own words. ﻿To add to your description, include a labelled diagram in the sketchpad window below. 2. What ﻿condition(s) must be met before this theorem can be used to calculate the length of a side of a triangle? 3. In triangle ABC, C is a right angle. What happens to the length of side c as the measure of C decreases? Using the sketchpad below, play around with the points A and B, by dragging each point, to help you answer this question.
? If not are they close? Why might they be off by a little bit? 5. What happens if you move vertex C further away from line segment AB? Use the sketchpad below to help answer your question. 6. 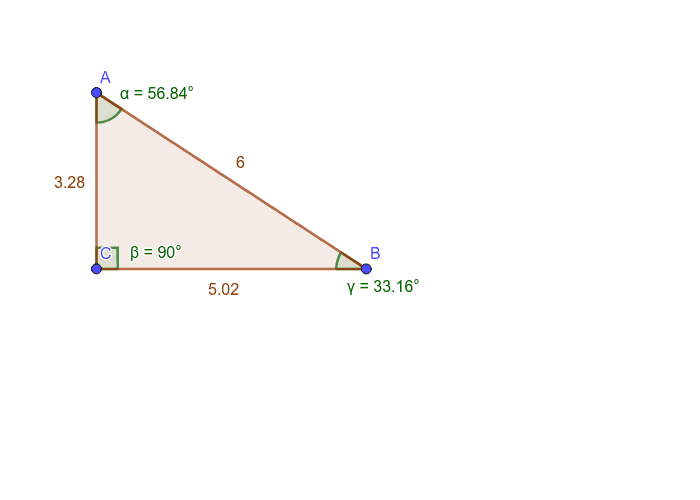 Does the Pythagorean theorem property still apply to the triangle in question #5? Explain your reasoning. 9. What relationship have you discovered in question #8? 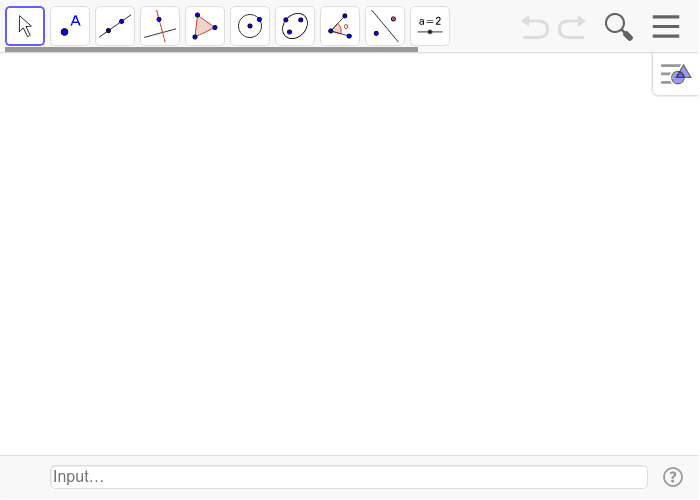 Think of it as the Pythagorean Theorem for Acute Triangles. 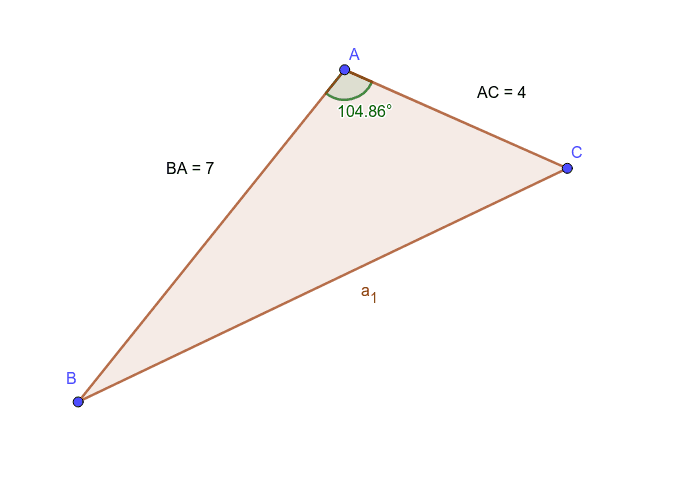 Given 2 sides and the contained angle, find the length of side a1 in the following triangle. 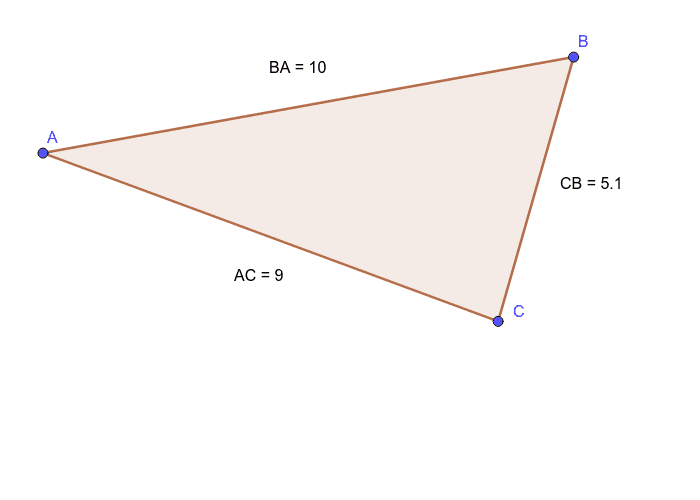 Given three sides, solve for angle B in the following triangle.